When you're riding your motorcycle on an icy day, heated motorcycle gloves can keep your hands more comfortable. You can usually choose to hook them up to a jacket liner that is part of a heated suit for riding or you can use a wire harness. In some cases, you can even use rechargeable batteries that fit into pouches on the backs of the gloves. Whether or not it will matter that you have to unplug them when you get off the bike. Some have a battery attached to each glove; others use the motorcycle's battery. How concerned you are with heat that wraps not only around the base of the hand but also up the fingers. Another wiring factor is whether they are wired in series or parallel. Parallel is better simply because if one stops working , the other one won't necessarily stop, too. The price. Expect to pay over $100.00, but some cost closer to $200.00. Have a budget in mind before you start shopping. How hot you want them to get. Some even have multiple temperature options. Protection for your hands in the case of an accident. 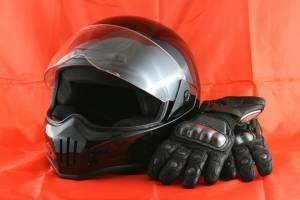 As with all motorcycle gear, it needs to be heavy-duty in order to protect your hands. Tour Master Synergy Heated Leather Gloves are available for $125.99. They get power from your motorcycle's 12-volt electrical system and are meant to be warm, comfortable, lightweight, and flexible. The overall ratings on the site give them a 4.0 of 5.0. Firstgear Carbon Heated Gloves are available for $152.99 and offer heating throughout the glove and have extra protection on the palms in addition to reflective piping on top as an extra safety measure. They run off of DC power and have adjustable wrists. FIrstgear Heated Gloves are available for $116.99 and also draw power from your motorcycle's battery via a jacket liner or wire harness. They feature Thinsulate, Porelle® waterproof membrane, protection in the palm, and more. They're designed to be incredibly thin but provide optimal warmth. EXO2 Stormshield Heated Gloves are available for $229.95. They're waterproof, windproof, and breathable. They also feature knuckle protectors and foam insulation at the palm and back of the hand. In addition, you'll find visor wipes on each thumb as an additional safety measure. A glove cable harness is also included. Cozy Winters has a pair of WarmGear Men's 12v Heated Leather Gloves for $129.95. They heat the whole hand-not just the back. In addition, they're waterproof, windproof, and breathable. Be sure to check their sizing chart before ordering. For protection, you get Kevlar in the palm and a reinforced grip. There is also a lifetime warranty on the heating elements. In addition to heat, you want to look for comfort, flexibility, and safety in your motorcycle gloves. Be sure that they fit under your jacket, fit properly, and offer you the movement you need to control your bike. There's no reason to let your hands freeze or cut a road trip short because your hands are too cold to continue.